SV stands for Sound and Vibration! Experience both on a whole new level with the 2-way speakers in the head rest, powerful subwoofer and rumble feedback motor. 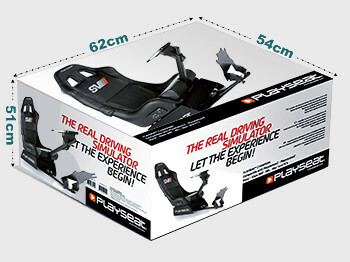 The Playseat® SV has truly unique design and is adjustadble for different sizes and shapes. The seat is made of durable leather-look material, so it feels and looks like a real racing chair. Plugin your own headphone into the headphone connector or 3,5mm jackplug input connector to enjoy the realistic racing sounds without disturbing the people around you. The Playseat® SV brings the ultimate racing experience to your home! 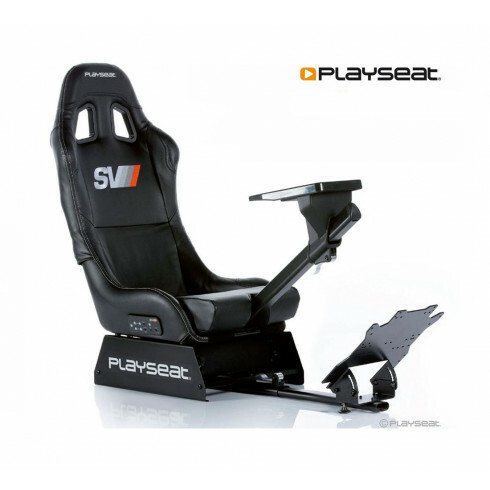 If you’re a racing fan, the Playseat® SV is an absolute must! The drivability is great and sound makes the surroundings come to life! Furthermore, the chair is very comfortable and adjustable to your own comfort level. I find it comfortable, it holds the wheel firmly, and you can adjust the distance of the pedals and the wheel. You get immersed in the experience, with the sound so close to your ears and the vibration during the game. I read that some people complain about the steering wheel bar, but for me it’s not an obstacle. I would say that this is a really amazing gaming chair that’s worth every penny.